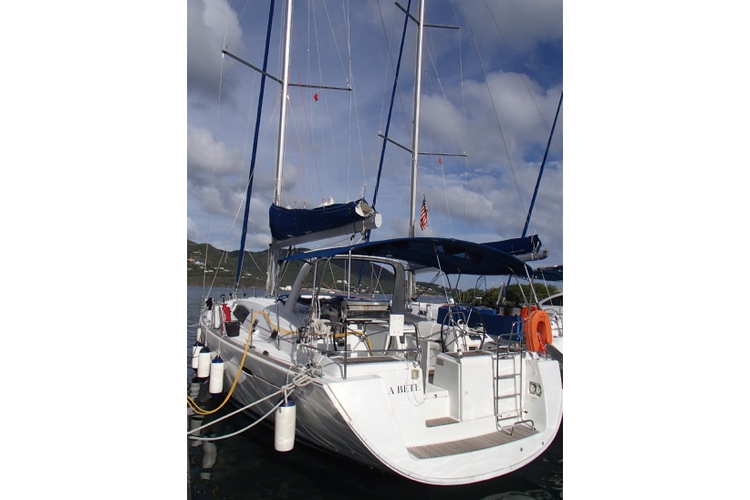 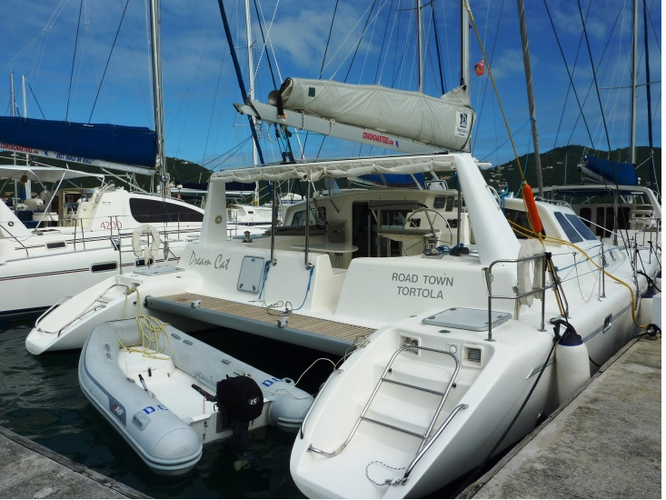 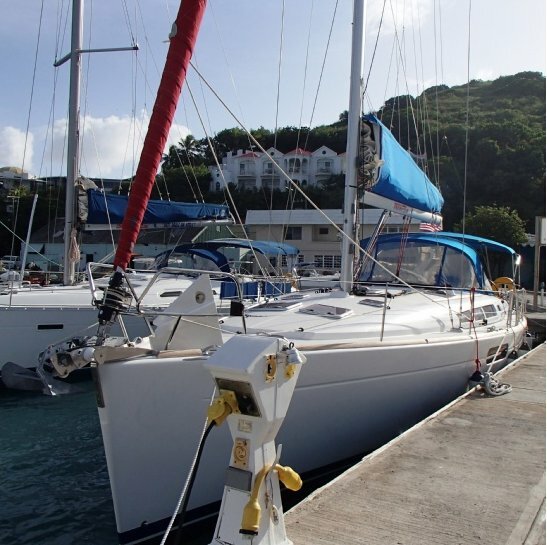 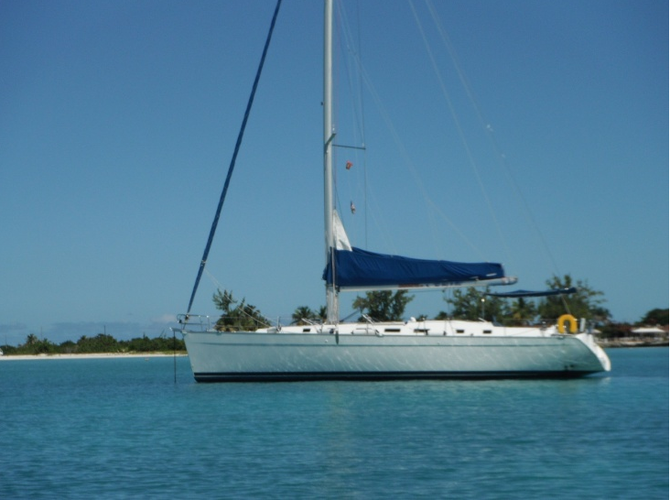 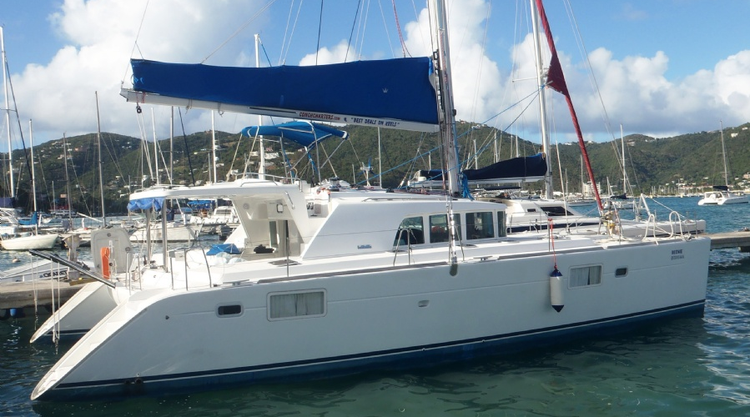 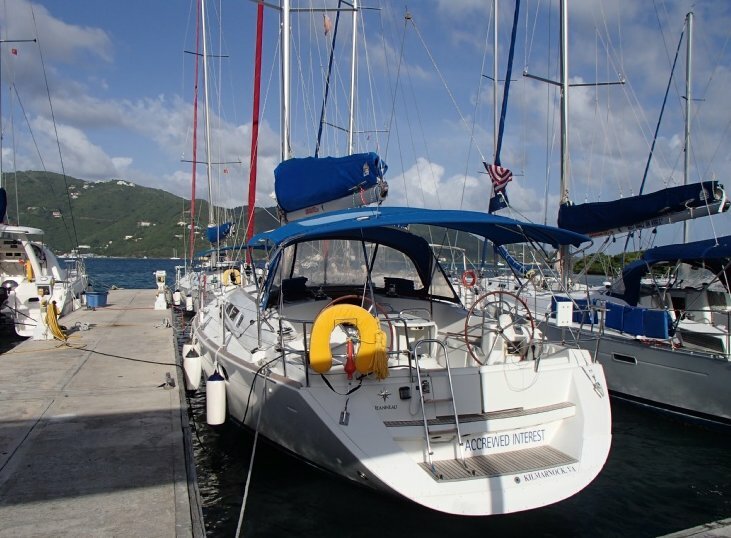 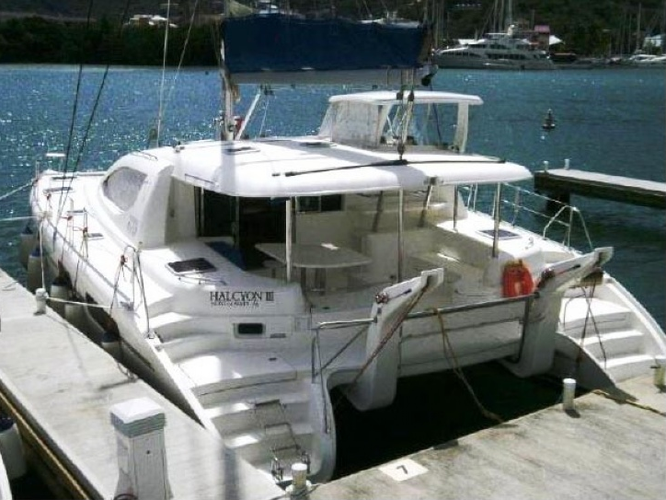 High quality, warm, and inviting, this Jeanneau is great for a trip through the BVI with friends. 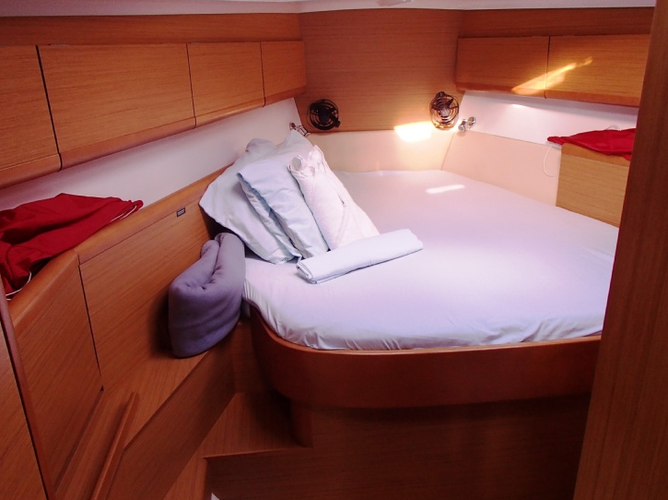 Accommodating 6 guests, the three cabins have 6'4" headroom and double beds with their own heads. 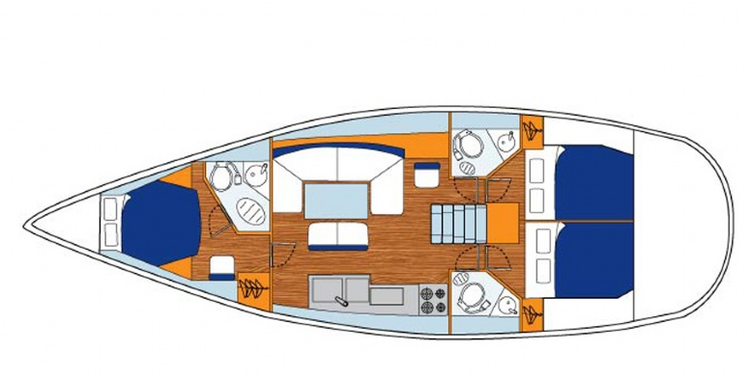 With plenty of room, the galley is fully equipped with tableware, glassware, pots, pans, fridge and stove. 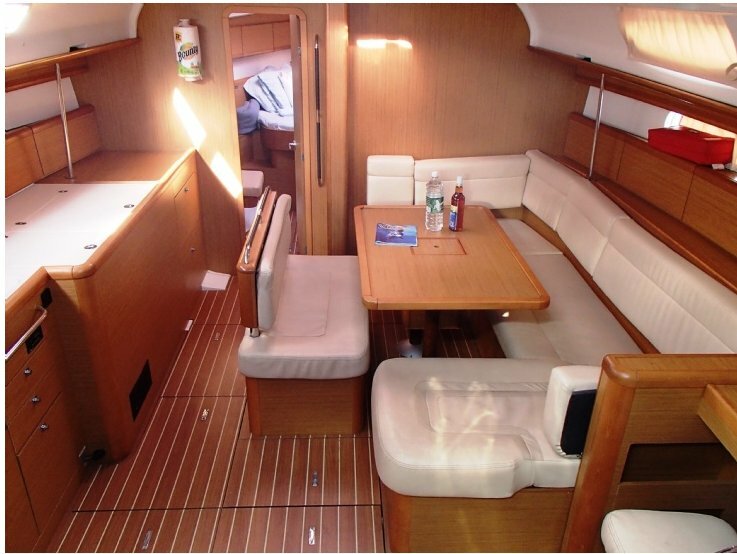 The large cockpit has a spacious dining area for you to enjoy outdoor dinners and sunsets. 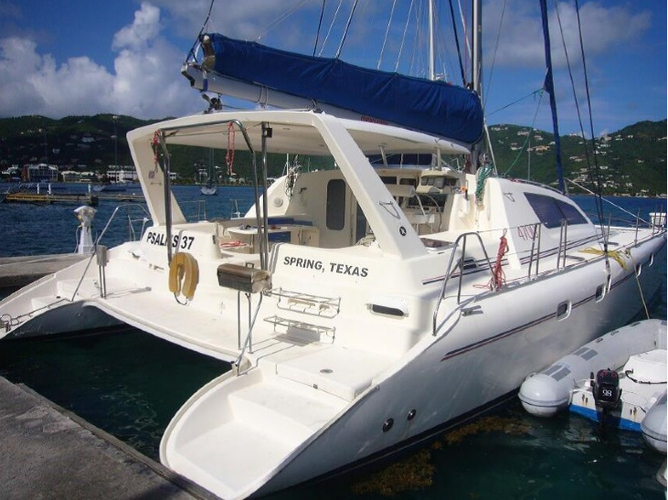 Superb catamaran for sailing the warm BVI waters!